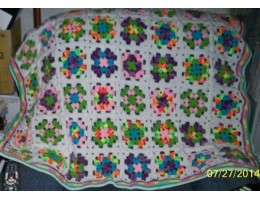 Blankets and quilts in a variety of materials for newborn and preemie sizes. 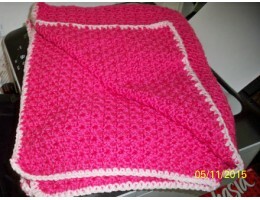 This sweet baby blanket has "bumps" created by the shell-type pattern and is hand-crocheted from 100.. 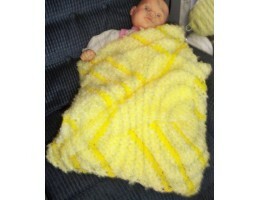 This hand-crocheted baby blanket is so wonderfully soft and fuzzy! 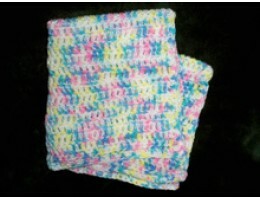 It's made from a bulky acrylic ya..
Wrap your tiny one in this soft, pretty blanket crocheted from 3-ply acrylic yarn. 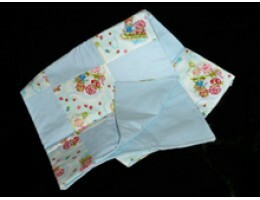 It's machine wash..
Wrap your tiny one in a soft quilt made from 100% cotton flannel and tied with acrylic yarn. 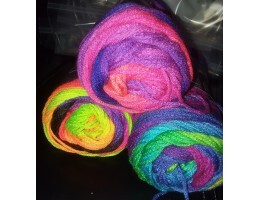 These a..